The Blairgowrie ace narrowly missed out on taking the Cadet Cup title last season in an older generation Fiesta, but thanks to the support of his backers, will be using the latest specification Ford direct from the factory in Poland. The M-Sport built machine will arrive in the UK just days before the opening round of the season, The Cambrian Rally on 15 th February in North Wales. At just 18 years of age, Retson will be one of the youngest competitors in the series which will see some of the fastest Junior drivers in Europe vie for a prize fund worth over 60,000 Euro. Retson will own one of only a handful of the impressive 1.0 litre EcoBoost Ford Fiesta’s in the country and will be aiming to build on his experience learnt in the championship during his 2018 campaign. Retson is a model of progression in British rallying, competing in the F1000 Scottish Junior series for 14-17-year-olds and taking the title in 2016. Retson then headed into the BTRDA Fiesta ST Trophy, where he took his inaugural win on only his fourth event in the car. Last season he progressed into the BRC Cadet Cup for newcomers to the series and despite leading each event contested, could only convert that into a win in Ulster thanks to mechanical woes. Now, he will make the leap into the hotly contested Junior series which, thanks to M-Sport and Pirelli, offers the chance of a 60,000 Euro prize fund to put towards a full campaign in the 2020 FIA Junior WRC Championship. “There is no doubt the new M-Sport Fiesta R2 is the quickest and capable car out there at the moment and I’m really very privileged to be able to compete in one this season,” he says. But Retson is well aware of the task ahead and is citing experience as his goal this season rather than wins and has recruited the knowledgeable Tom Hynd to the co-driver’s seat for a second BRC season. Despite Retson having one of the most advanced R2 cars at his disposal, he is remaining realistic about the possibilities in 2019. Six rounds will make up the calendar, with the Cambrian a new addition and kick-starting the Championship next month, utilising in the forests which were used on the World Rally Championship qualifier Wales Rally GB last October. 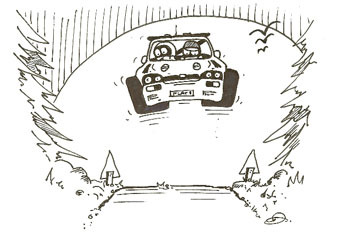 Another new round, the West Cork Rally takes crews to the bumpy closed roads in Ireland, before a return to the Kielder forest and the Pirelli International Rally in April. A trip to Belgium in the summer for the Ypres Rally will mark familiar territory for Retson, as will the Ulster Rally in August. 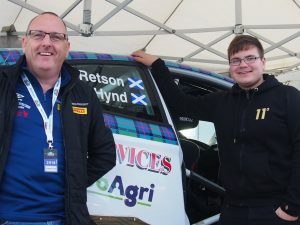 Whilst the season finale on the Galloway Hills Rally will be new for many, Retson will have the advantage of contesting the event previously as part of his Scottish Rally Championship outings. Retson is also eager to hear from interested businesses or supporters who would like to be involved with the team’s activities during 2019 and beyond. Retson is supported by DJR Services, JSR Services – Blairgowrie Ltd, G S Robertson Ltd, Kevin Donachie Electricians, West Ranga Properties, Robert Morton Joiners & Contractors, Vital Equipment Limited, Andrew Wood Motorsport, The Campervan Company and Results Gym Forfar.